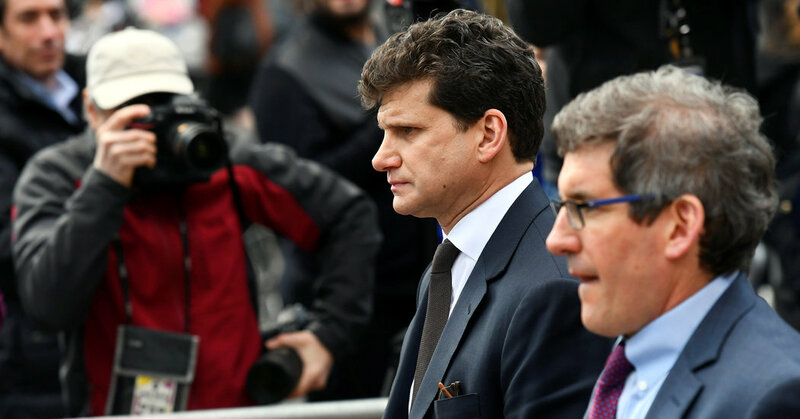 A prominent lawyer with a major New York law firm said on Friday that he intended to plead guilty to criminal charges arising from the college admissions cheating scandal. Gordon Caplan, who had been co-chairman of the firm Willkie Farr & Gallagher, was charged with conspiracy to commit mail fraud after he allegedly paid $75,000 to make sure his daughter got a good score on a college-admissions exam. Mr. Caplan was suspended last month as co-chairman of Willkie Farr. The law firm on Friday said that Mr. Caplan was no a longer a partner there in light of his decision to plead guilty. The criminal complaint against Mr. Caplan included recorded conversations in which he discussed plans to have a professional take the exam for his daughter, who he thought would not get a score high enough to gain admission to an elite school. In the conversations, with William Rick Singer, the California college admissions consultant who was the mastermind of the college admissions cheating scheme, Mr. Caplan repeatedly asked a number of times about the possibility of getting caught. He apparently did not realize that his conversations were being recorded by Mr. Singer, who was cooperating with federal authorities. It wasn’t clear from Friday’s statement what charges Mr. Caplan plans to plead guilty to. His lawyers declined to comment beyond the statement. If he pleads guilty to a felony, he will face automatic disbarment in New York. Next PostNext Lil Nas X Added Billy Ray Cyrus to ‘Old Town Road.’ Is It Country Enough for Billboard Now?